You would benefit from a programmable thermostat if you want to stop adjusting a manual thermostat to turn the heat down before you leave. If you would like to save money on your utility bills and use less energy, a programmable thermostat is also a good choice. 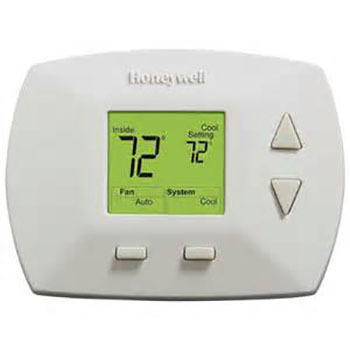 Here are some benefits of purchasing a Honeywell programmable thermostat from Affordable Heating and Cooling. You will save money on your utility bills because you can schedule the heat or air conditioning to run only when you are home. When you control your thermostat to generate less heat while you are gone, you will be saving money. You will not have the worry of turning the heat down every time you leave your home either. You can also program your thermostat to start warming or cooling when you plan to arrive. Programmable thermostats do not use mercury are more friendly to the ecosystem. You can also start getting the temperature before you wake up so you are comfortable when you wake up. Programmable thermostats give you options to set different temperatures at different times, seven days a week. Your work days and days off can be set to your own schedule. maintenance, repairs and emergency services for all your home’s HVAC needs.